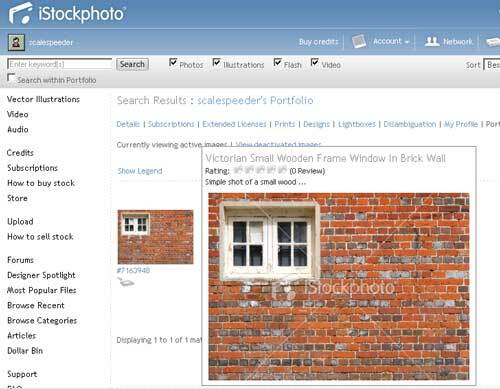 Well, my first photo has been accepted into iStockphoto for sale - don't laugh, its a simple shot of a brick wall (! ), and I thought it might be helpful if I kept a diary of my experiences, the successes and failures, to maybe help others thinking of trying the same thing. I uploaded three images (the ones that got me accepted to iStock in the first place), on the 9th of September, so that's a 9 day "queue time" - lets have a closer look at what passed inspection, what didn't, and why. All Tapped Out. Rejected. Reason: We found this file over filtered from its original appearance/quality. 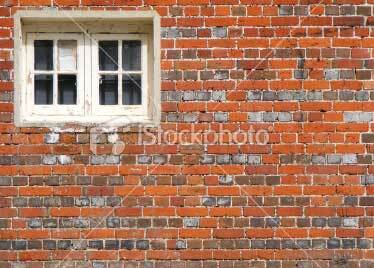 Victorian Window In Brick Wall. Accepted. 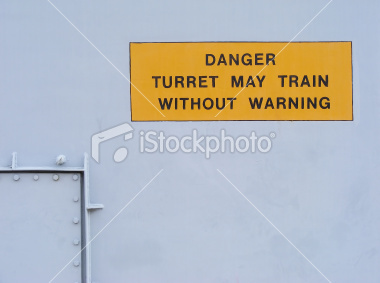 Danger Turret May Train Without Warning. Rejected. Reason: We found the overall composition of this file's lighting could be improved. Technical aspects that can affect the overall quality of lighting are: flat/dull colors, blown-out highlights, harsh reflection, shadows or lens flares. These can all limit the usefulness of a file. So this is really interesting, and its an opportunity to learn. You may think "Wait a minute, why have they been rejected for sale when they were accepted as "test" shots?" 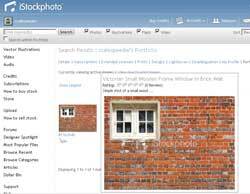 You've got to remember that iStockphoto use Inspectors to check photo's - they've got about 40 (interviews with them here), so they'll all have slightly different views on what they'll let in and what they won't. That's part of playing the iStock game. They liked the brick wall - I can see why - it's simple, the colours are not too drab and I didn't do any post-processing apart from a pass from Noise Ninja, rotate and crop. I took this one with the wall bathed in diffused Sunlight - not shadow, like the turret one, which was left with very flat colours, and that's why that one got rejected. Thinking about it, there's a couple of things I can bear in mind when out shooting next. Put my S5700 in the "Fuji-chrome" colour mode to brighten up the colours, take advantage of diffused Sunlight where possible, and also check my histogram, to push the exposure up a bit to lighten the shots without blowing out the highlights. The tap shot is all my fault - for some reason I played around with the levels before submitting (even though I know that any manipulation is a bad idea) - so I can't blame anyone but myself for that. 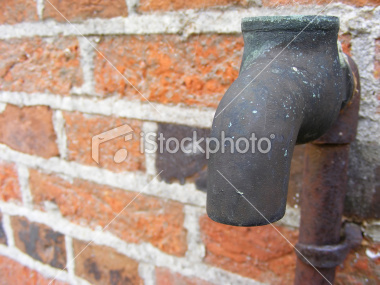 Istock is known for harsh rejections but it can be worth it. If you want a microstock agency that accepts easily, try www.123rf.com. Get a portfolio running and see where it goes. Good tip, I'll check them out! Cheers, Rob. just getting easier with bigstockphoto.com. 9 of my picture taken by s700 approved. fotolia? none. I'll have to take a look, thanks!